Happy Monday! After a mostly gorgeous weekend in the Pacific Northwest, we're back to gloomy fall weather. Blah. I wasn't too productive in the craft department this weekend. But, fortunately, I had made a few birthday gifts the previous week/weekend so I have another little project to share with you. When I realized my mother-in-law's birthday was coming up, I decided I was going to make her something for organizational and/or storage purposes. She loves to organize and de-clutter. I thought a pretty zippered pouch would be a good idea, allowing her to store either her make-up, some pens, coupons, whatever. Hello! So busy around here these days... But I did manage to make a few little birthday gifts recently. My father-in-law's birthday was last week. 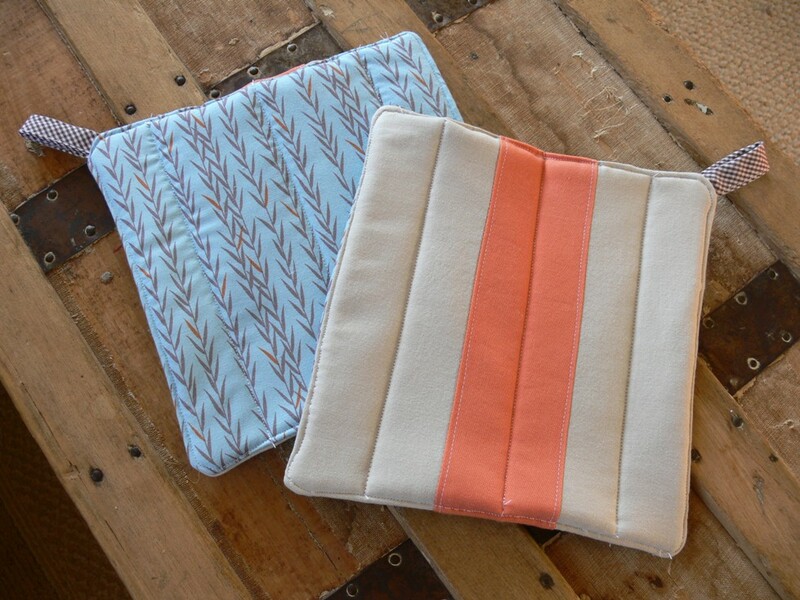 He's a passionate cook and I thought a pair of potholders would be the perfect usable gift for him. 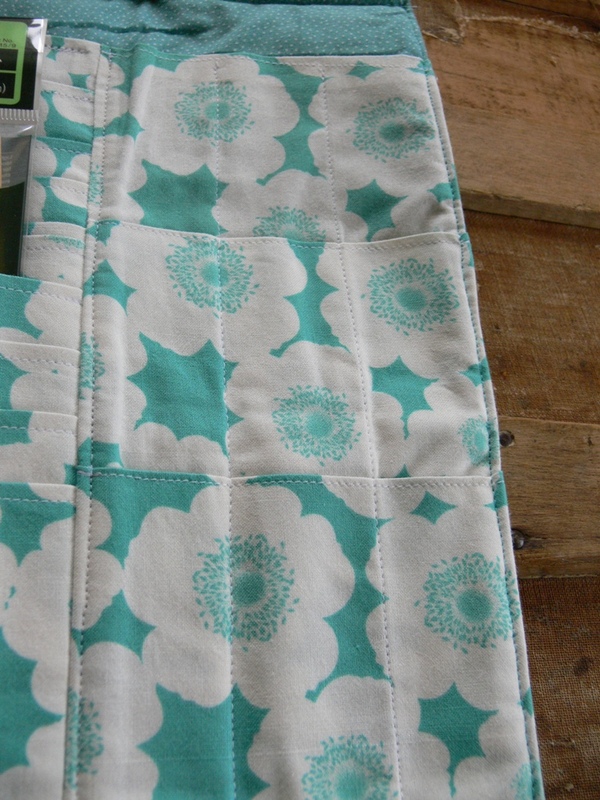 I followed my own little tutorial but experimented with a little patchwork and different quilting lines. 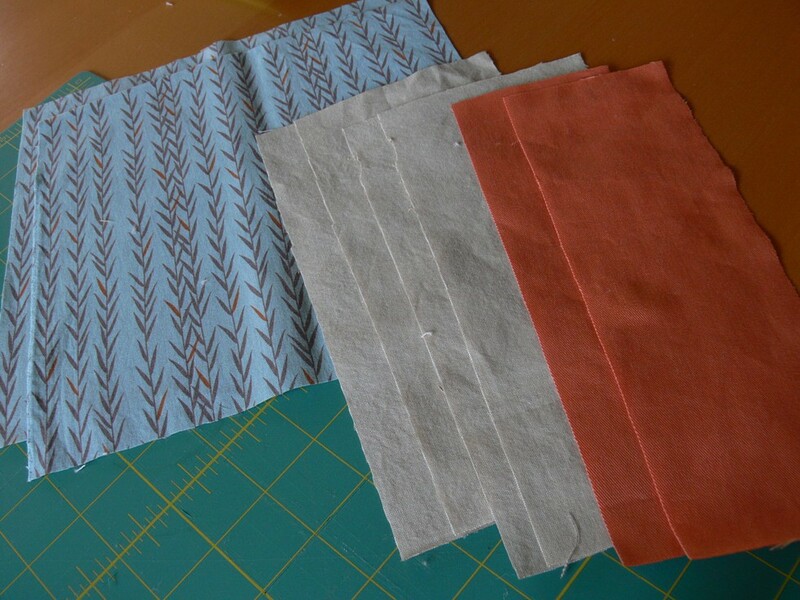 I wanted his potholders to be somewhat masculine and thought that Willow in River print (Timber collection by Jessica Levitt) would be perfect. 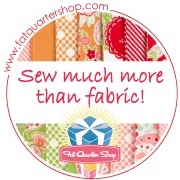 I often jump on man-friendly fat quarters when I find them, and have had this one for a while. 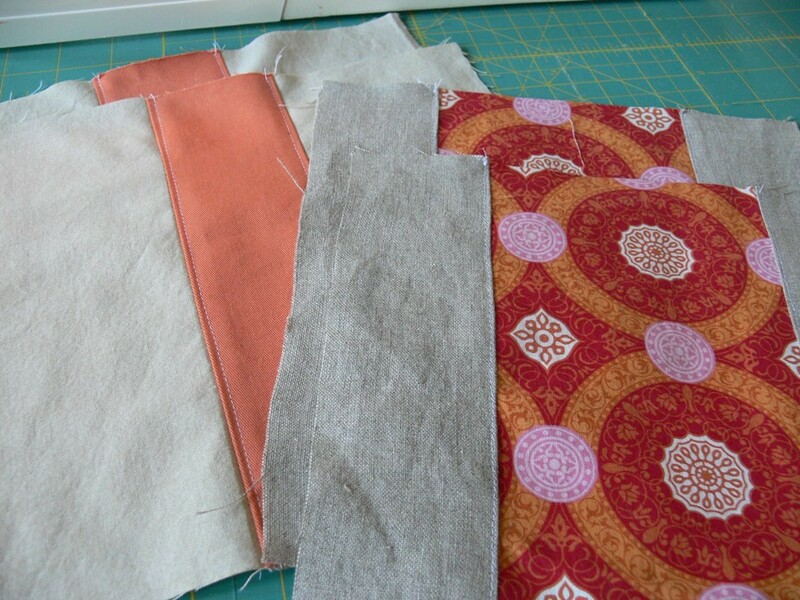 I could not for the life of me find a coordinating print for the other side in my stash, so I decided to combine two solids: orange and beige. While I was making a set of potholders, I decided to make a set for our household too, since the pair I had made last year -- while absolutely still usable and holding up fine -- are no longer looking their best. I decided to "splurge" and use that lovely Kei Honeycomb fat quarter you gave me. I love it so much and love the idea of seeing it in my kitchen every day! For the other side, I used scraps left over from making my red table runner. 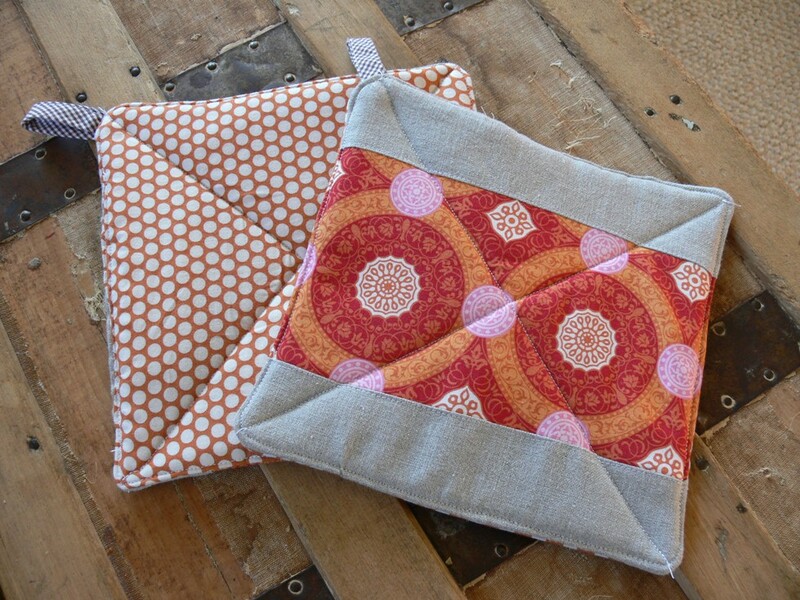 I finished the assembly and quilting easy-peasy, and ended up with two lovely pairs of potholders. 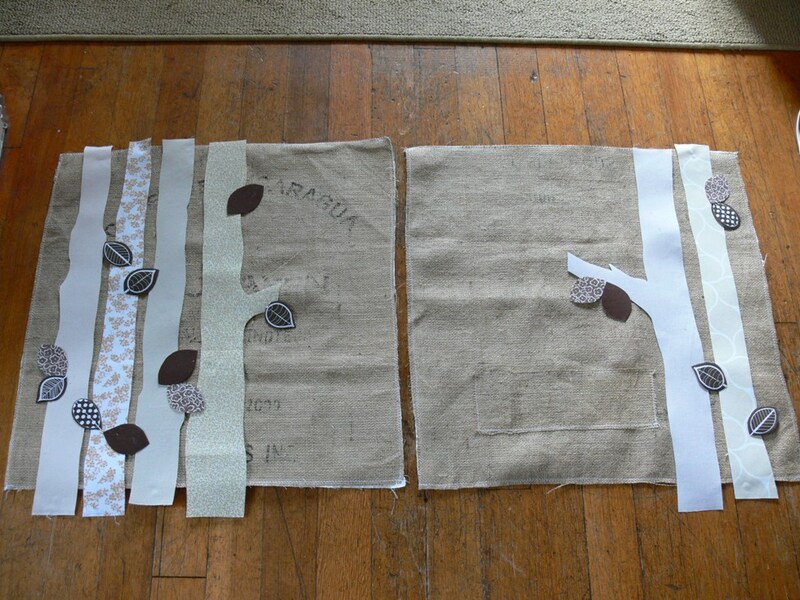 This is such a quick project! These two pairs were made from start to finish in well under a nap-time span (these days, that is anything between 1.5 to 3 hours...). My father-in-law seemed happy with them. He has supposedly put them to use already and called them "quite substantial". Coming from a dude, I'll take that as a compliment! Happy Friday! I've been doing quite a bit of blog browsing lately, mulling over the feasibility of starting an Etsy shop in the VERY near future. It would mean building up some kind of inventory and setting up a store front within the next 2 months, before baby #2 arrives. Do you think I can do it?? In any case, I've been finding all kinds of interesting info. So I thought I would share! - Last week, I shared that handbook from Etsy's blog The Storque, featuring everything you'd possibly want to know about opening a shop. 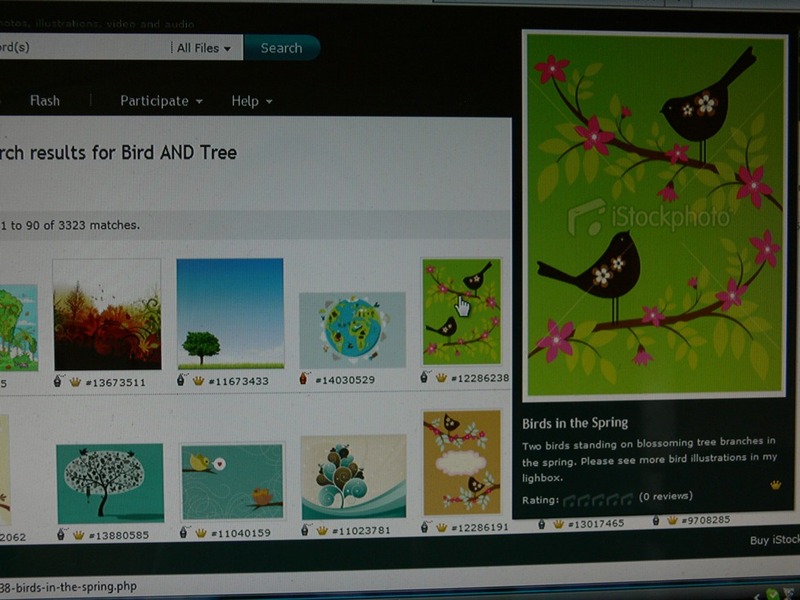 This week, they posted a nice article about taking good photographs of your artwork. - The blog CraftMBA is a goldmine of helpful information for crafters, whether it be marketing, pricing for profit, basic business tips, etc. 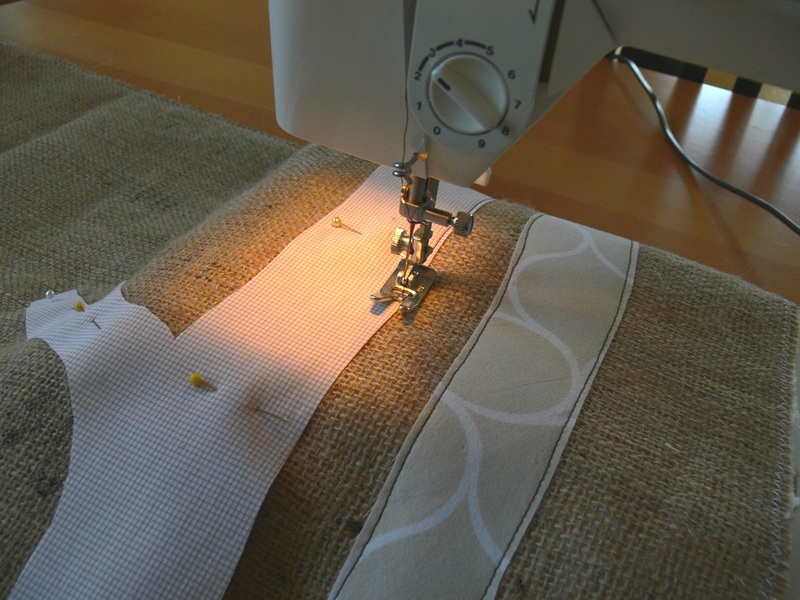 - Allisa Jacobs of Quiltish has been writing a nice series called Business Bits. 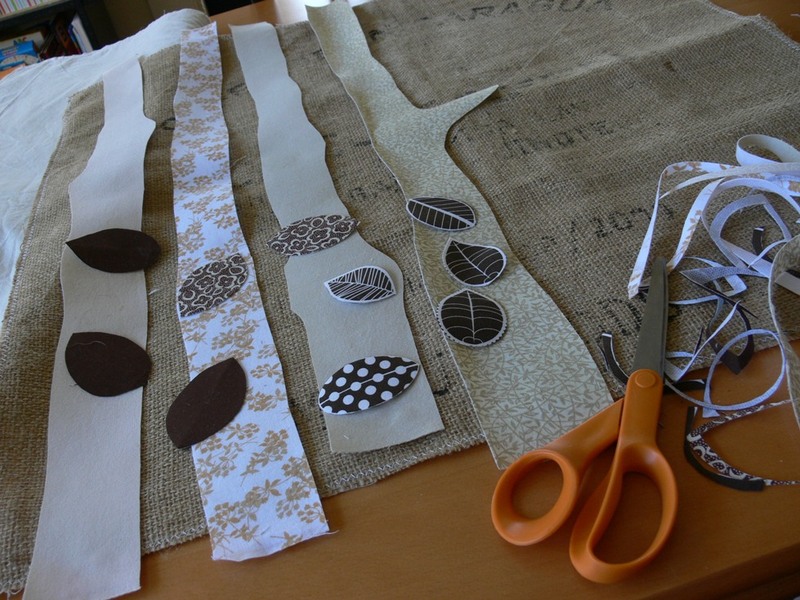 I've linked to her posts several times in the past, I really like her short and sweet take on the basics of craft business. - And of course, there is the book The Handmade Marketplace: How to Sell Your Crafts Locally, Globally, and Online by Kari Chapin. I've been meaning to get it from the library for ages, and am adding it to my hold request list as soon as I post this! Do you or our readers have other helpful links to share? 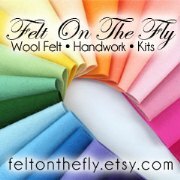 Any input or advice about starting an online shop of handmade goodness? Oh right, I had a weak moment last week! I think it was around 10 PM, the time I am most likely to a) eat junk food and b) spend money online. 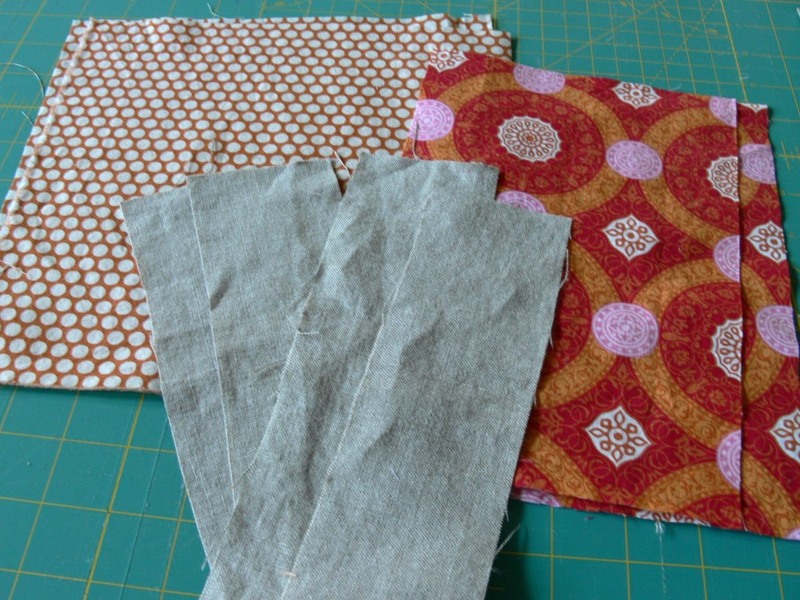 I THINK my rationale was that I needed fabric to make some snack bags to show the local "green" shop in hopes they'd want to sell some on commission. After opening up the lovely package, I pulled out this canvas first (The brand is Cosmo, the line is Zoo Canvas in Pink Parade, Brown Parade and Tan Mushrooms). 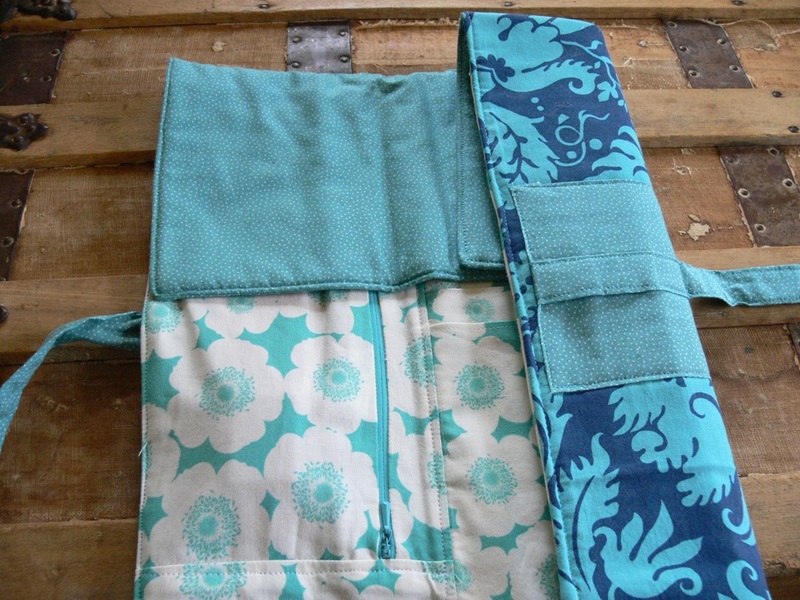 I am envisioning some sandwich wraps and a few lunch bags coming from these three. 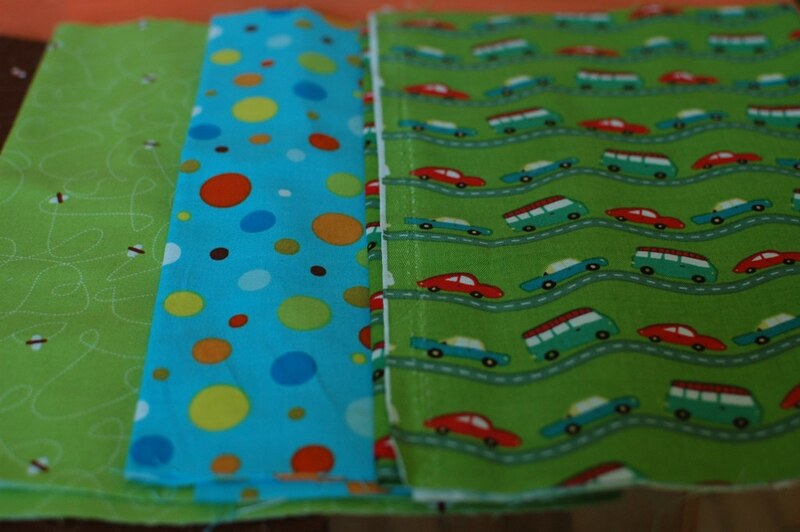 Next up we've got three quilting cottons in "boy" colors, I love the dots! The first two are from P and B Textiles "Aldo to Zippy", in Green Bees and Blue Dots, and the last is Riley Blake "Wheels" in Green Traffic. Last we have some pink (couldn't resist the stripes) and a few neutrals. 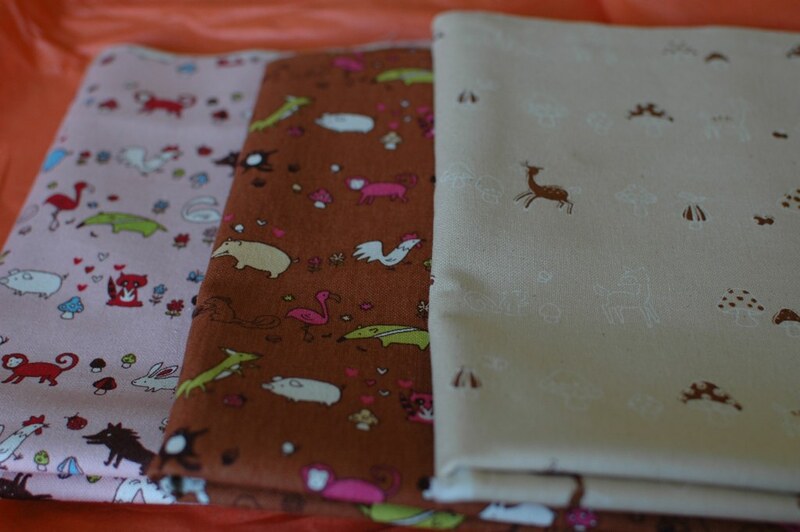 From the left it's Freespirit "Pretty Please" in Pink Pinwheel Stripe, Alexander Henry "Teeny Tiny Zoo" in Sage and Chocolate and "Aldo to Zippy" in Brown Bees". Jenny have you looked at Purl for fabric yet? Here's their Children's section if you want to see what they have, almost all the fabrics above were on sale when I bought them! 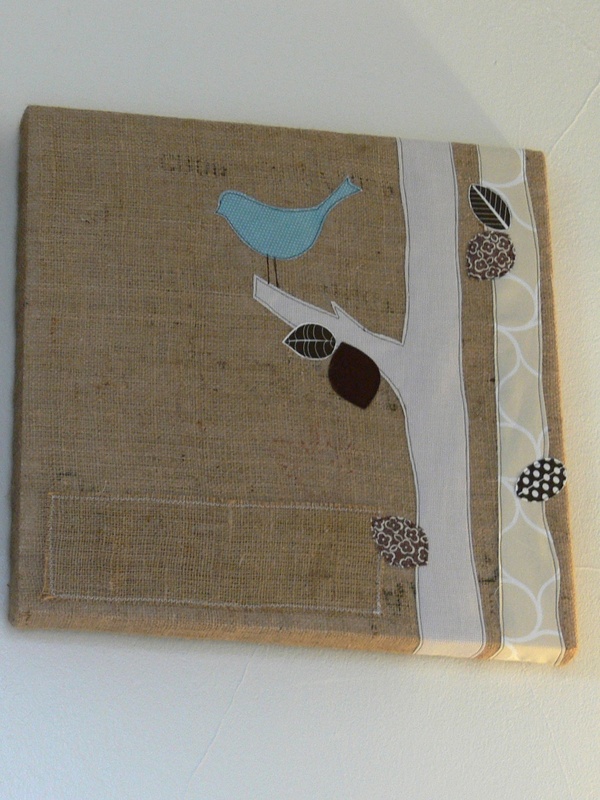 You can also buy as little as 1/4 yard (which is what I did on all but the canvas), this appeals to someone like me that has a hard time making up her mind. I've said it many times before but Purl really has an amazing selection of items, the folks working there have a good eye for both quality and uniqueness that appeals to me. 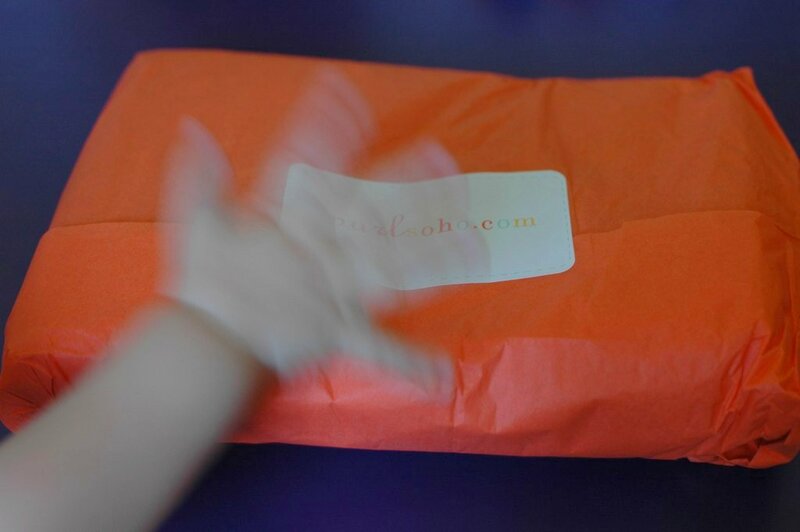 I buy more from them than any other online vendor! 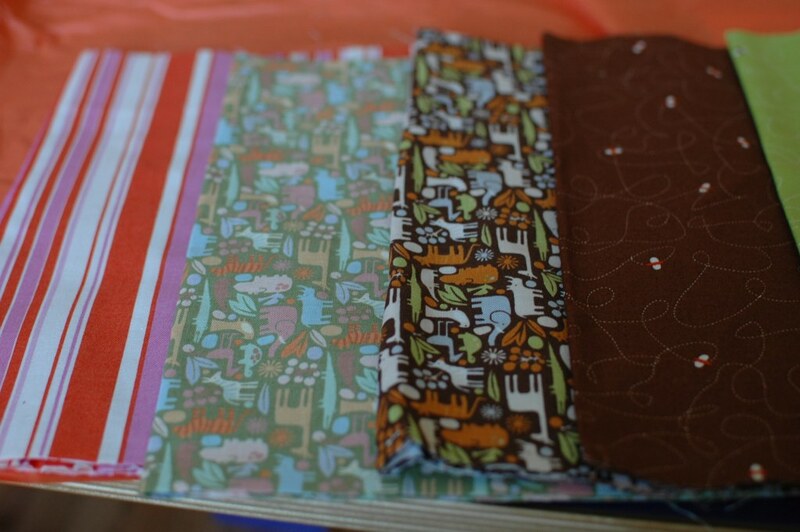 What cute fabrics!! I love the variety of stuff you got, they will make adorable sandwich bags. When are you going to post about those, by the way? I'm itching to see them!! (Nudge, nudge) I love Purl Soho as well. I included links to their kids' collections in my boys-boys-boys Link Love post a few weeks ago, including the Aldo to Zippy and the Riley Blake collections. Hmm, I wonder if I subconsciously inspired your fabric choices, he he! I've never bought anything from them though, I can never make up my mind. 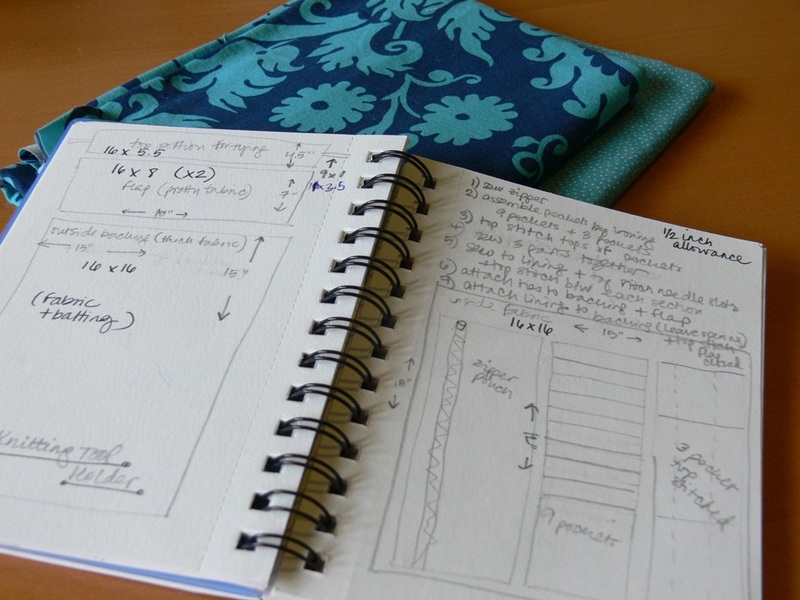 It's so much harder for me to shop for materials like fabric online. But, when I see the loveliness you received in that package, it is mighty tempting!... Can't wait to see what you make with them!! I'm pulling this one from the crafty archives. This is a gift I made for a dear friend last Christmas! I've been meaning to post about it... ever since. Since I am juggling a lot of stuff this week and don't have any current project to post, I thought this would be perfect timing! 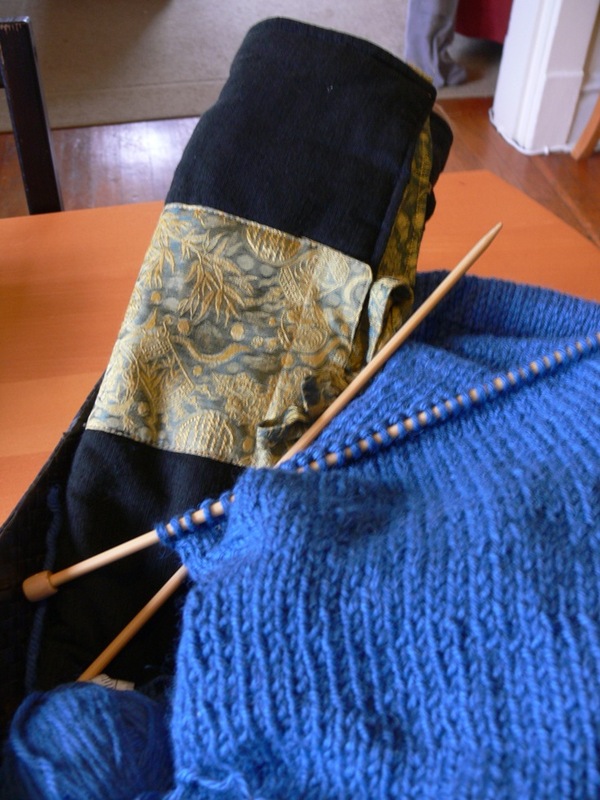 Shortly before the winter last year, my friend had mentioned she was thinking of picking up knitting again, after letting it go for a couple of years. She mentioned wanting to learn how to make hats among other things. 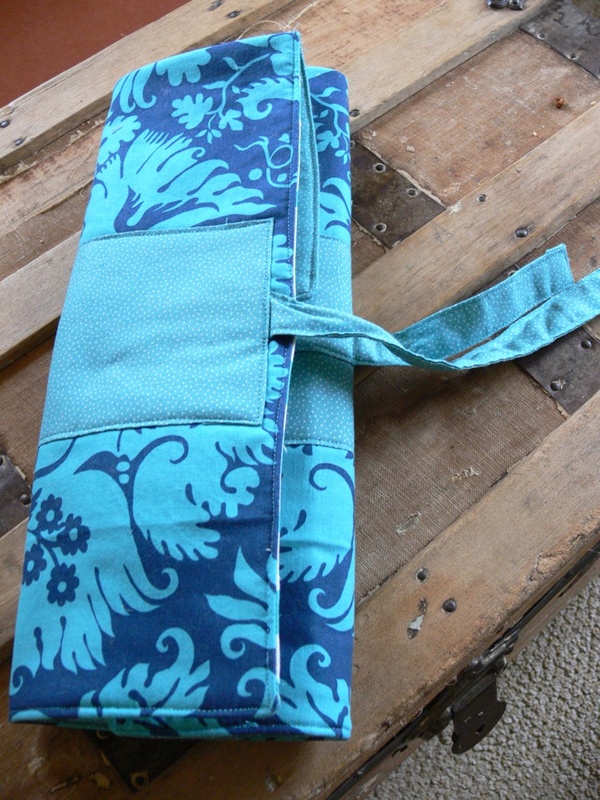 While brainstorming gift ideas, I thought of knitting-related items of course, and focused in on my beloved knitting needle case. This is a gift I received years ago, by Lantern Moon Handcrafted. I love it so much and have never seen one like it by other manufacturers. Since I wanted to make something by hand, I decided to reproduce this case for her. 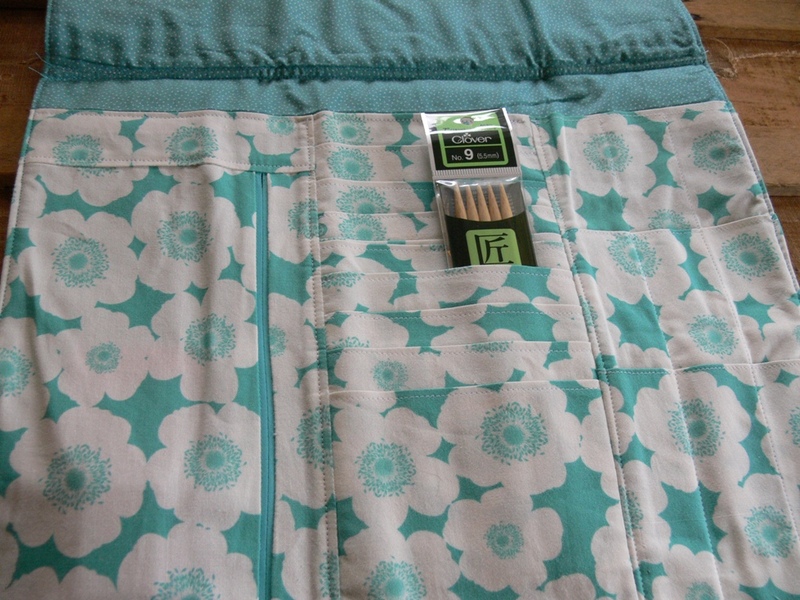 I love the 2 combination of pocket sizes for needles -- both long ones and circular ones -- and the fact that it has a zippered pouch -- so handy for stitch markers, tapestry needles, stitch holders, measuring tape, etc. I don't have any "in process" photos, and I have to admit it was a bit of an ambitious project. 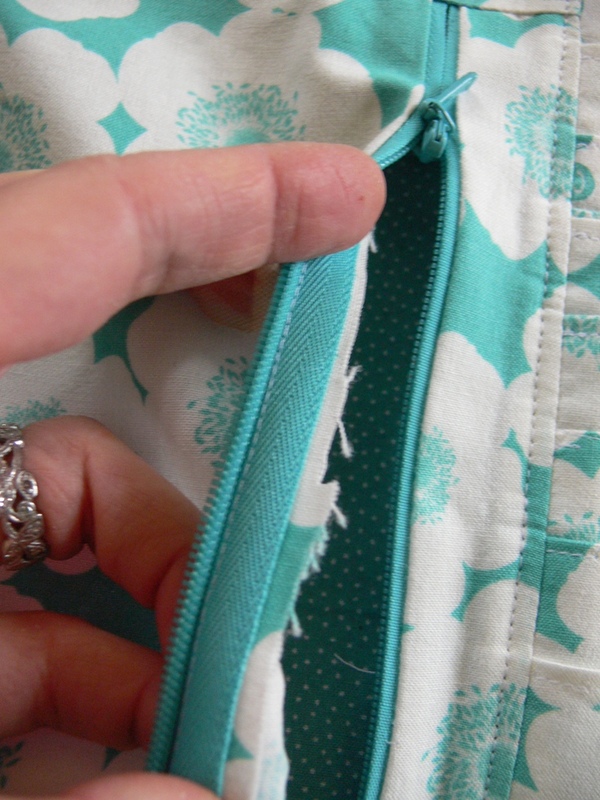 The middle portion especially, with all the small pockets, created so many layers that my sewing machine had a hard time getting through it. 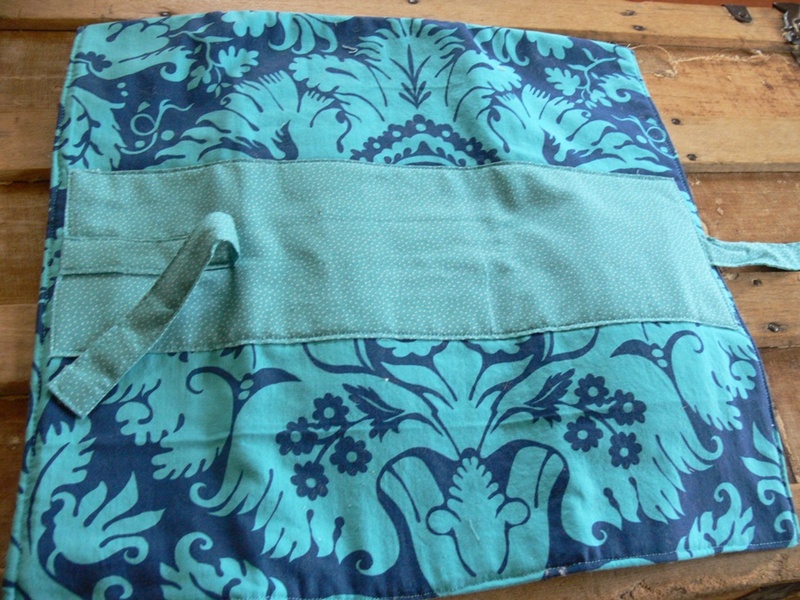 Here are a few photos of the finished product so you can get an idea of how I made it. I messed up in two places. 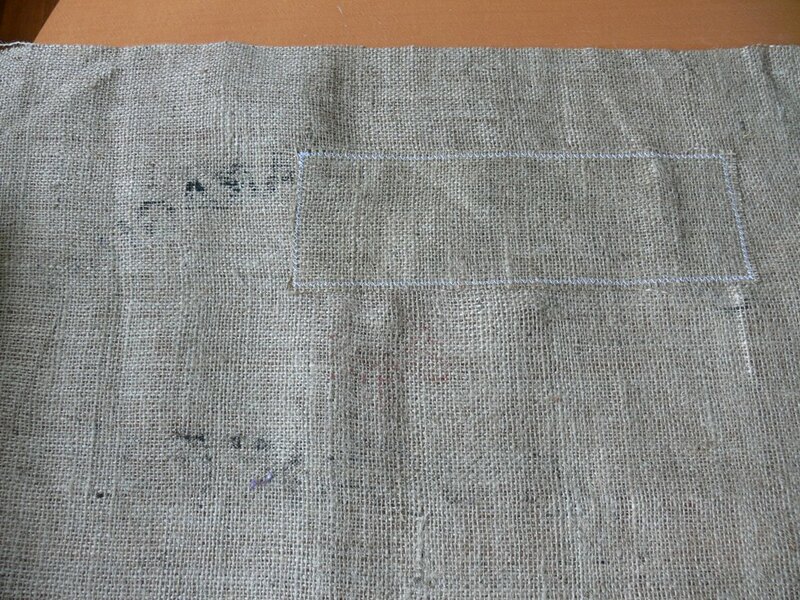 First, one of the ties was supposed to be sewn from the middle of a panel, instead of the edge. I fixed it up by folding the tie back and sewing it down where it was supposed to start from. Not ideal, but it worked out. 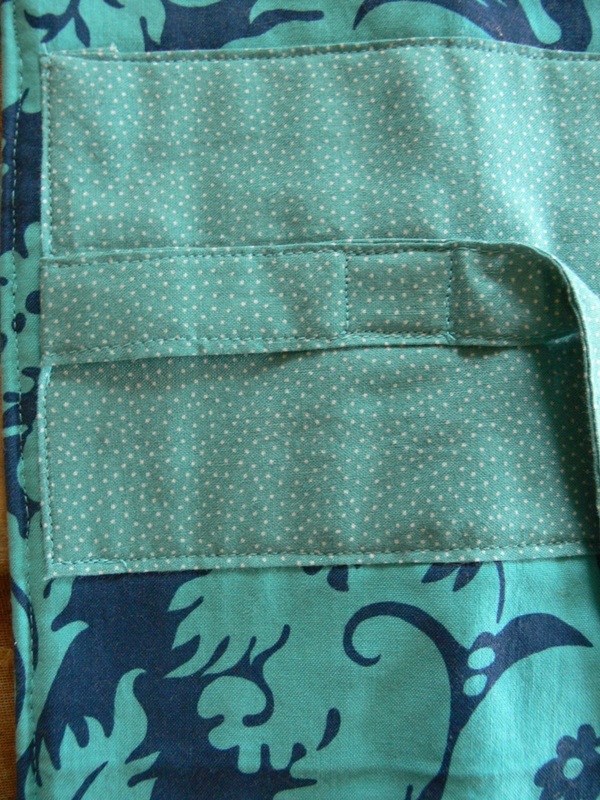 Second, not being very practiced with zippers, I didn't finish the fabric edge on the inside of the pocket. 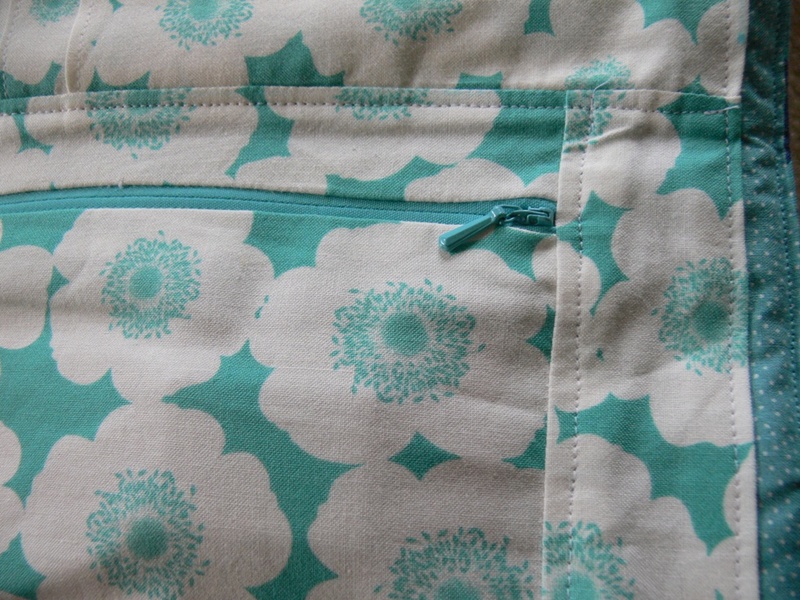 I should have put a zig-zag stitch on there, or even better, hemmed it. Oh well. All in all, I think it turned out pretty well, and I just love that old Amy Butler fabric I was able to use for the outside. 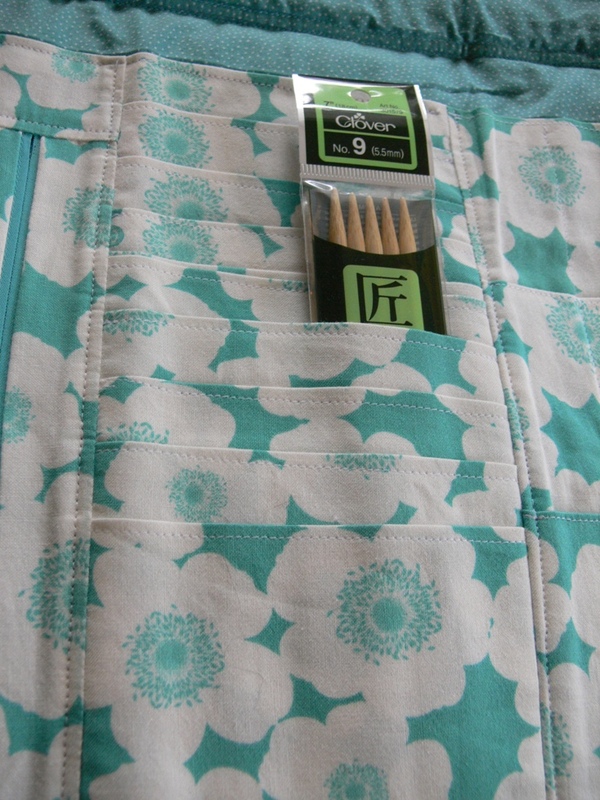 I gave this knitting needle case to my friend with those double-sided needles you see in the pics, a skein of fancy yarn, and a favorite knitting book including a hat pattern! I would love to give this type of gift again to a beginner knitter: something handmade and the materials to hand-make something themselves. 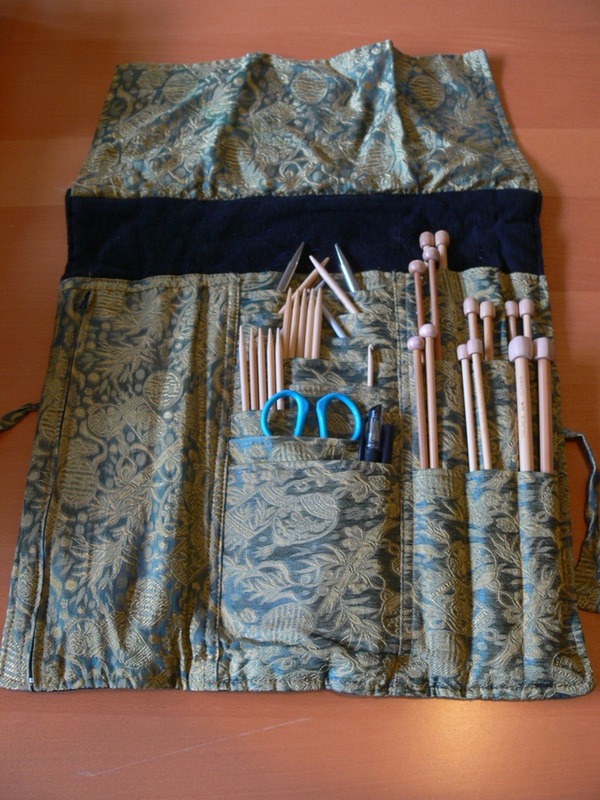 If you want to make a knitting needle case, there are TONS of patterns available in craft books and online. 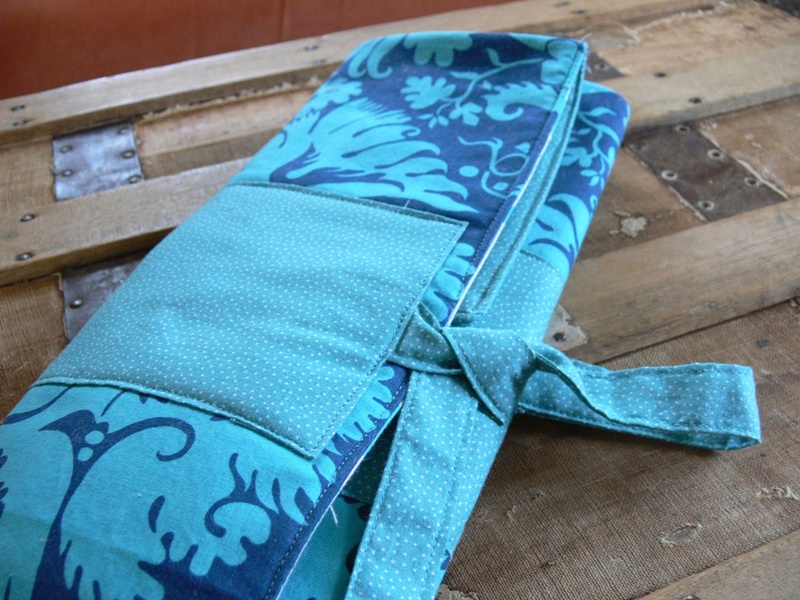 If you're looking for a special gift for a knitter and don't want to spend the time making a case yourself, I highly recommend those Lantern Moon knitting needle cases. Amidst all this rearranging, I didn't have much time to craft. 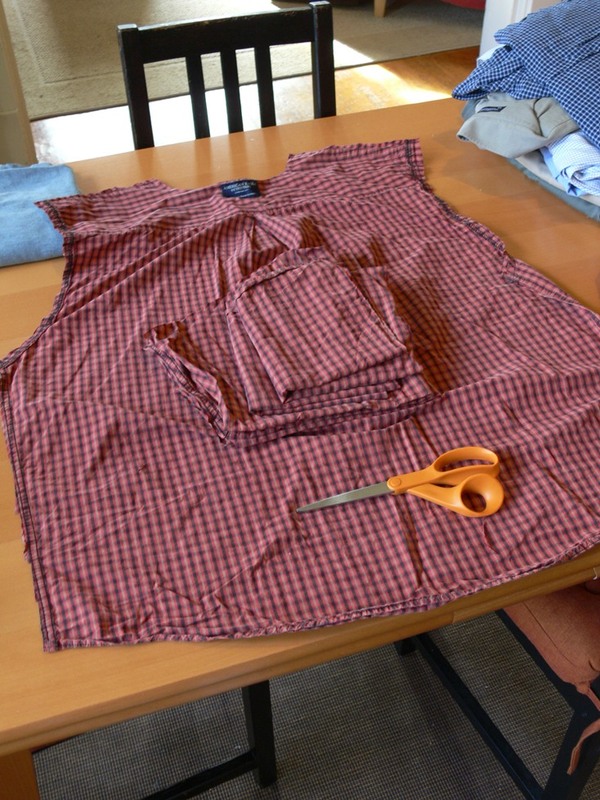 But, I did make some headway on a project that's been nagging at me for months: repurposing my husband's used clothing. You see, my hubby wears out his clothes like no one I've ever met. His scruffy beard rubs his shirt collars raw and his work "in the field" (when he has to visit construction sites and the like) puts some serious wear and tear on his work khakis. 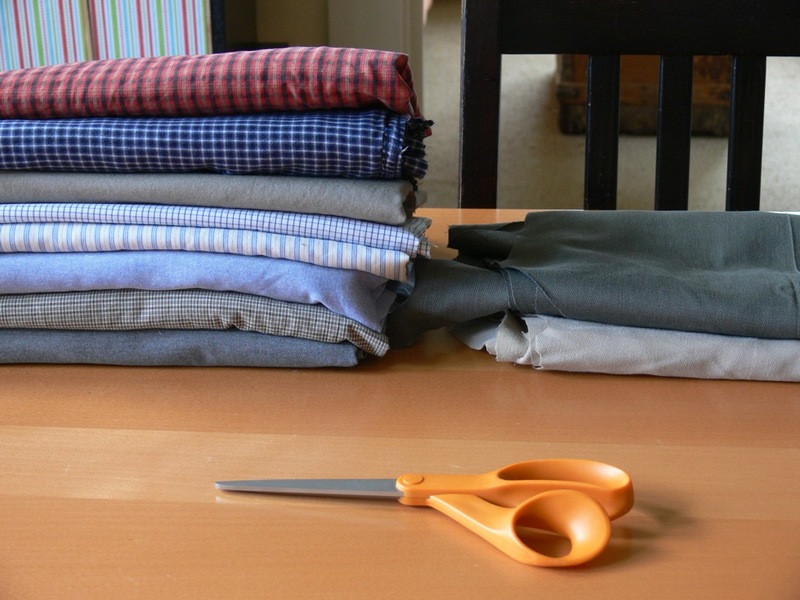 For the last year or so, I've been saving his no-longer-wearable button-downs and pants, determined to repurpose the large amount of fabric that is still in perfect shape into some other projects. 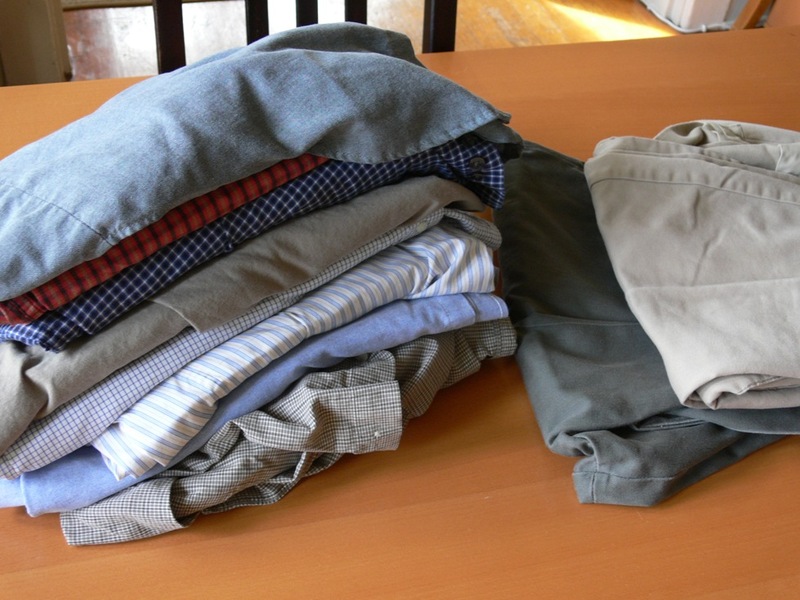 On the table: 8 button-downs and 2 pairs of khakis. 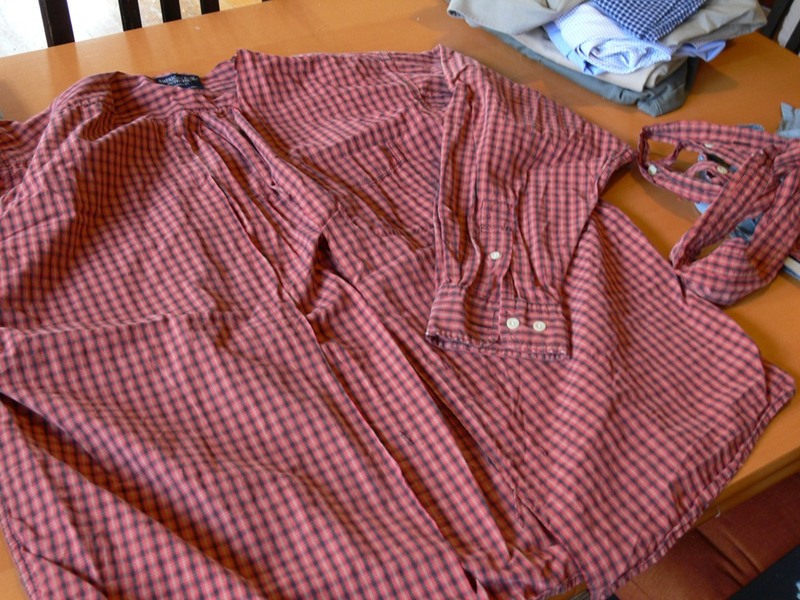 I started with the shirts and first removed the buttons and button holes and the collars, then the sleeve cuffs. I cut the sleeves off and opened them. I cut the front panels off. And I removed the top portion of the back that has the labels. I cut out any holes or stains that I noticed, and ended up with 5 pieces of flat fabric for each shirt (2 sleeves, 2 front panels, 1 back). For the pants, I removed the cuffs, the belt area, zippers and pockets, then cut along the seams to end up with 4 pieces of flat fabric. Clearly, this is not rocket science! 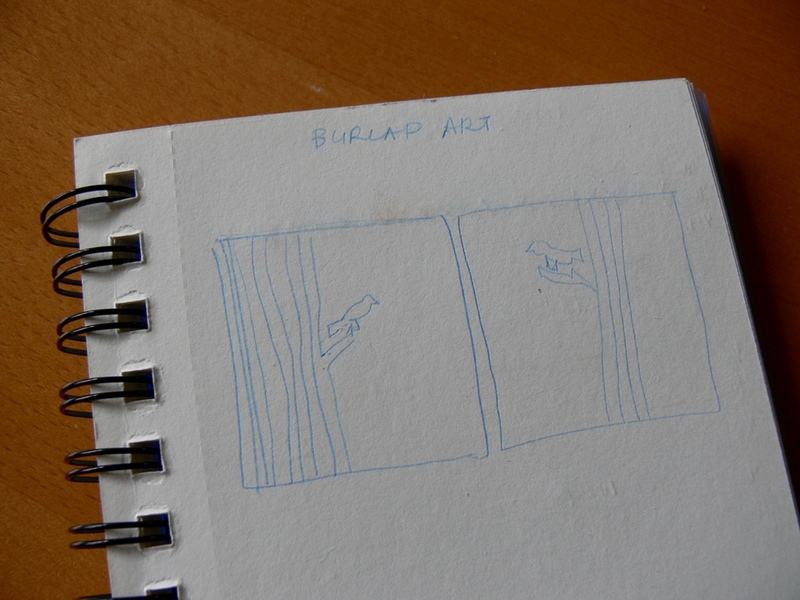 It turned out to be a slightly time-consuming project, though. I'm so glad I made the time to get through it. 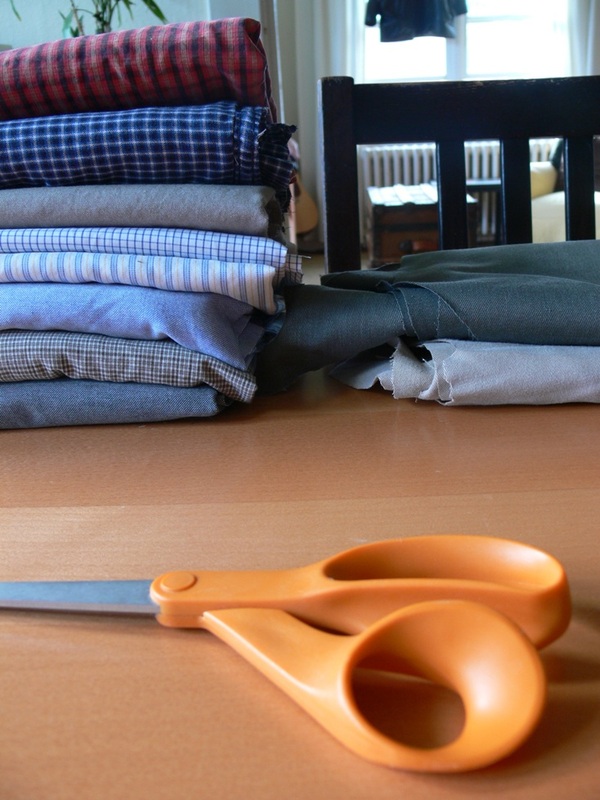 It may sound silly, but I feel relieved to now have "usable" material rather than a pile of old clothes to deal with. 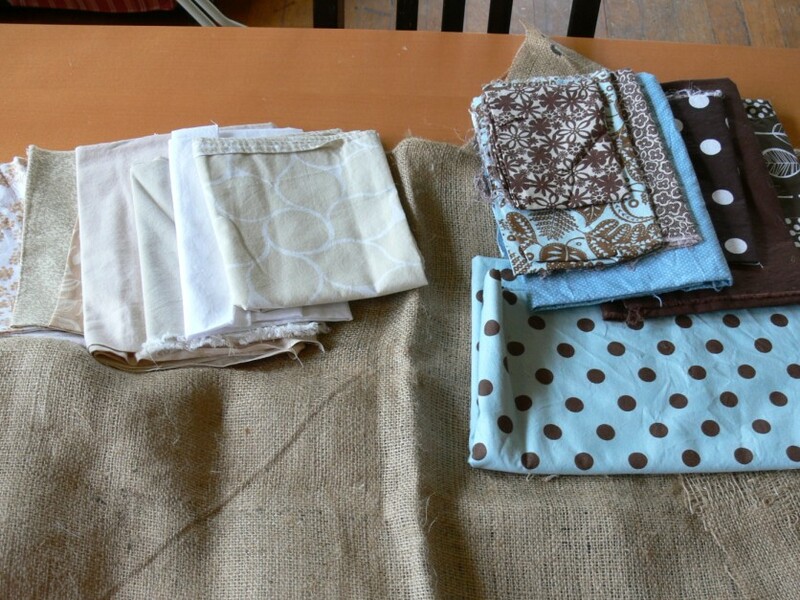 So, what projects do I have in mind for these repurposed fabrics? 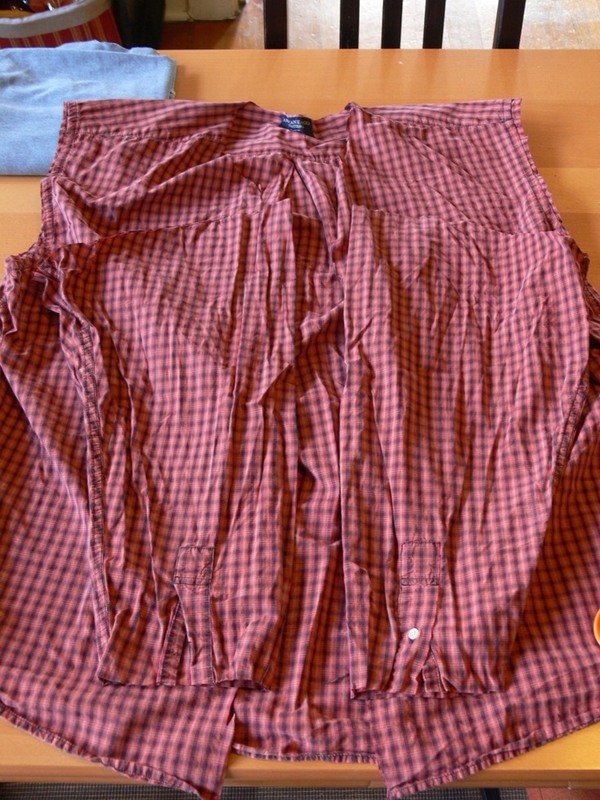 I loved Betz White's idea for making boy's pajamas out of recycled men's shirts. 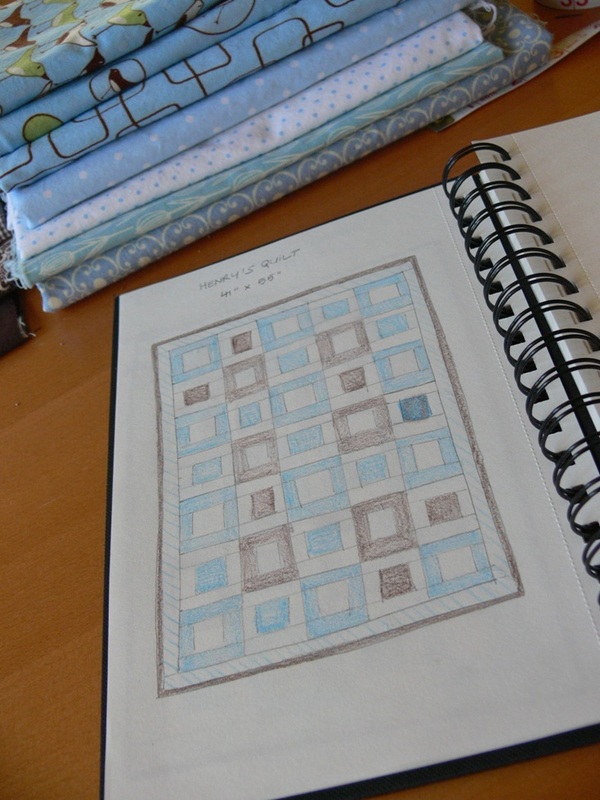 Crazy Mom Quilts' "I love plaid! quilt" would be a pretty good use of such fabrics. 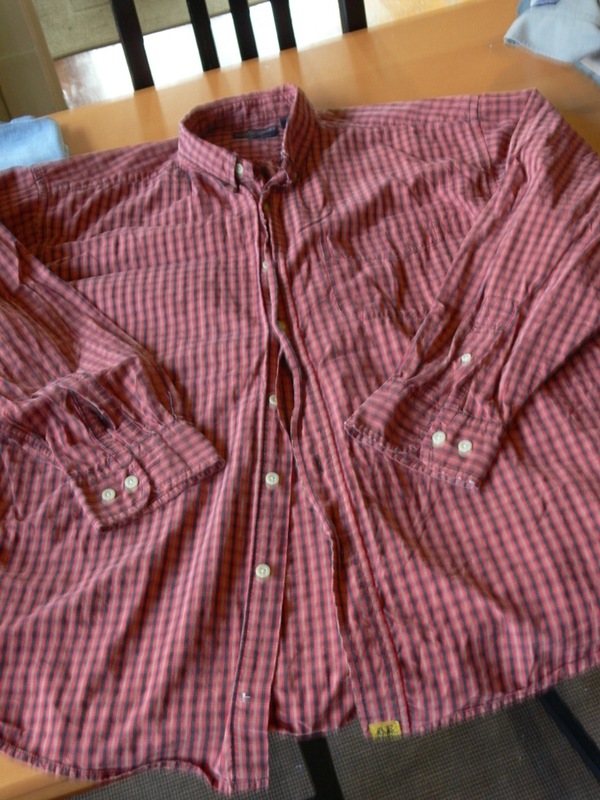 Inchmark featured a few amazing quits made from men's shirts a while back. 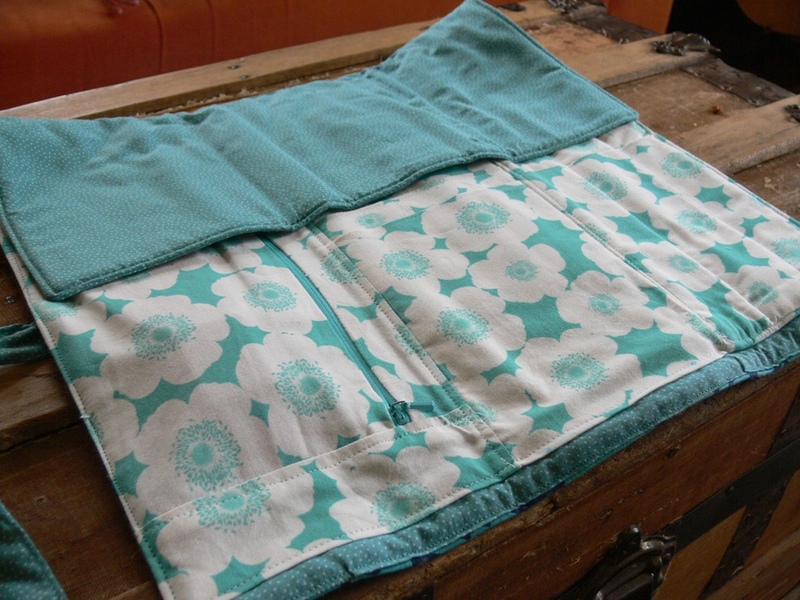 Browsing through Amanda Soule's Handmade Home, I'm thinking the laundry bag or the beach blanket would both be great projects for my shirt scraps. 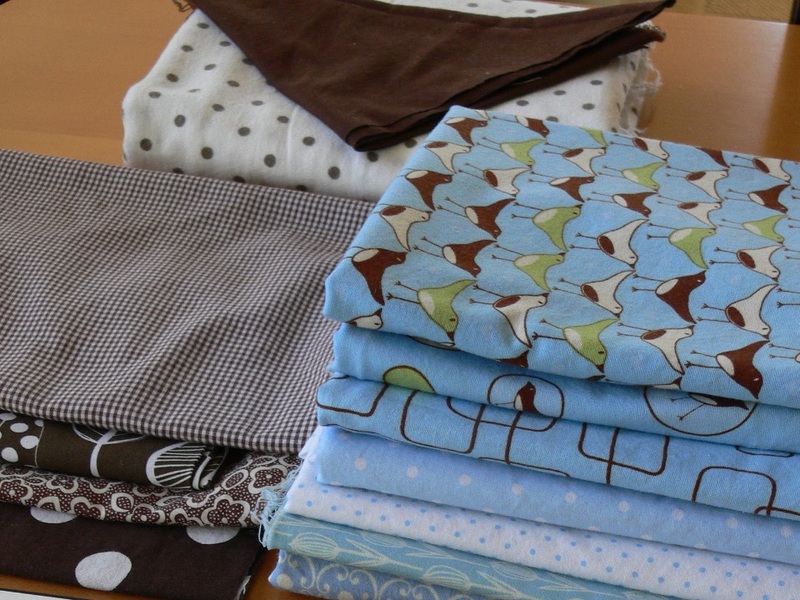 Mostly, I'm just happy to have some extra fabric in the stash that is both free and boy/man-friendly. I'll keep you posted on what I come up with! What were you up to this weekend? Can't wait to read about your latest projects. OK, it's official! We are reading each others' mind. I just did this exact same thing with all my felted sweaters! I am inspired to do this with my old clothes, but I have considered cutting those into strips and making a rag rug with them! In that case they'd need to be cut a different way. I can't wait to see what you come up with! Here's my mish-mash of links for the week. - As you know, I'm toying with the idea of opening an Etsy shop in the near future. The Etsy staff serendipitously posted this fabulous article on their FB page, featuring everything you'd possibly want to know about opening an Etsy shop. 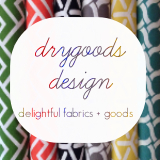 - Dana over at Made posted all about artwork for your kids' room this week. There are some great pieces and links on there. - I am probably way behind the curve on this, but these simply designed PDFs from the Household Notebook over at Organized Home have really helped me keep my act together the last few weeks. 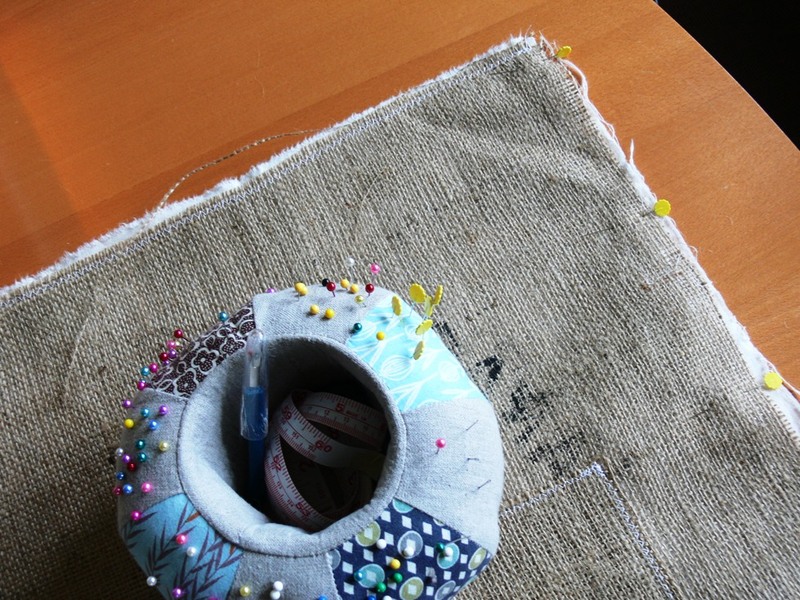 This link isn't really crafty-related, aside from the fact that I write my crafty projects on the To Do list. The one-page Weekly Planner has been especially helpful for me. 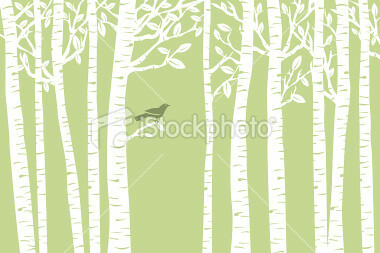 - I think I may have found a theme fabric for my baby quilt. I love this Chirp! 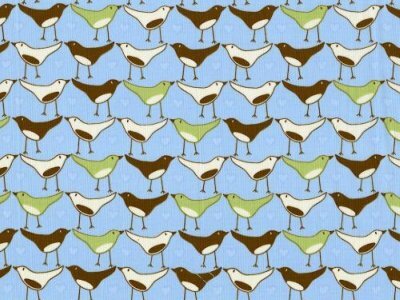 print by Katie Hennigar for Robert Kaufman Fabrics. Maybe it's because I have birds on the brain... 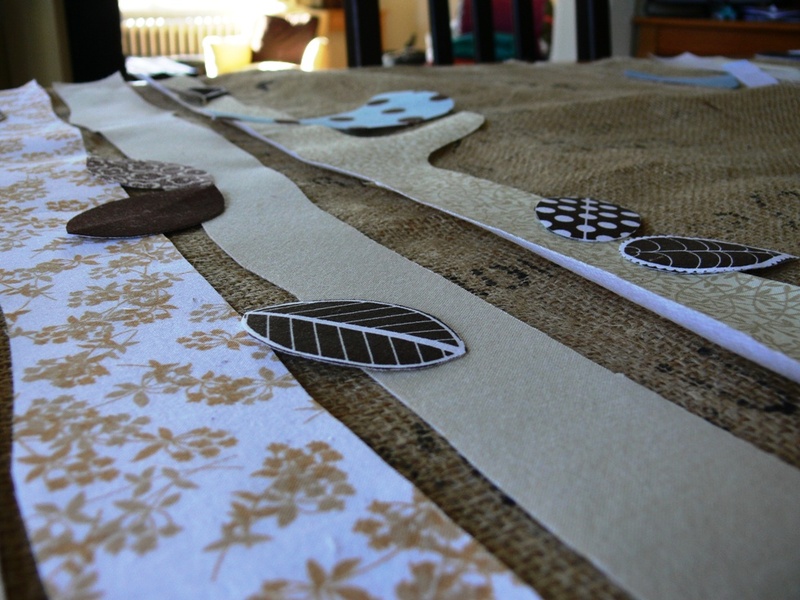 I am seeing a nature-inspired quilt with lots of whites, blues and browns... Hmmm. We'll see. And that's about it for my link love this week! Have a great weekend!! Hi everyone, it's Angel here. 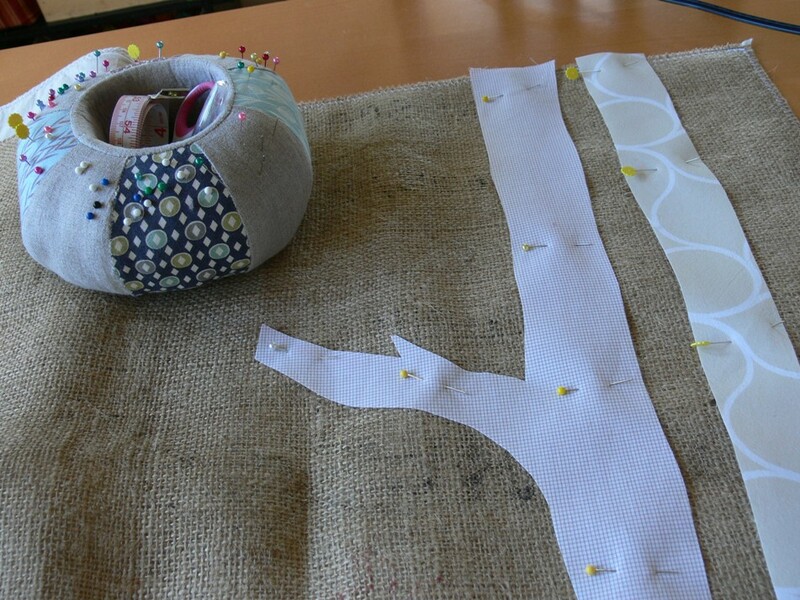 Jenny and I would love to know what are your favorite projects we've posted on the blog so far. Leave your answer in the comments if you are so inclined! Hello!! I hope you had a fabulous long holiday weekend. After an insane week last week, with friends staying with us, helping one of them move into his new apartment, dealing with car troubles, etc, I was so happy to have a somewhat relaxing weekend and make some progress on a big project. You see, I've had this project in mind for, oh, at least 6 months. I finally decided to move forward with it a couple of weeks ago and have advanced pretty slowly with it. Unlike most projects, on which my practical side takes over and zooms forward, this was an ART project and as such, it intimidated me. The result of my art projects never quite matches my vision and it's made me reluctant to get excited or motivated for them. 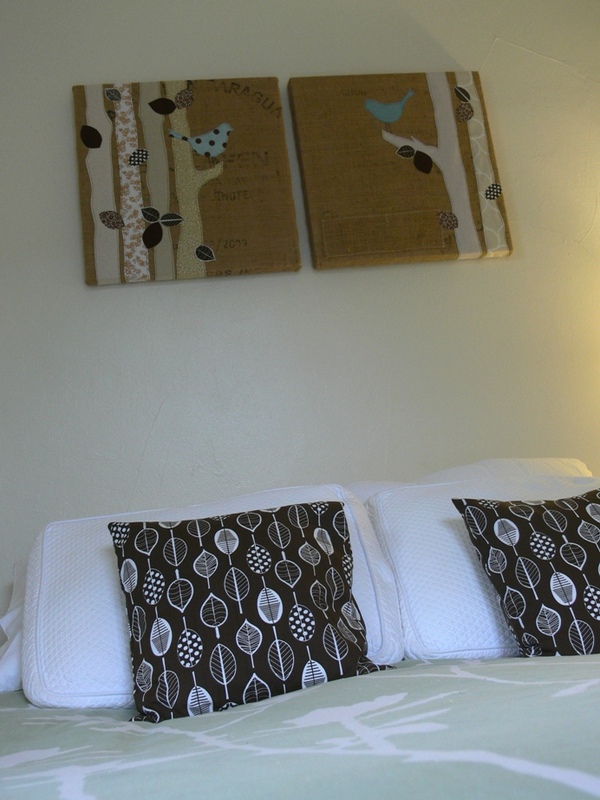 This art project was intended for our bedroom which still does not feature a headboard but did feature a big empty white wall. 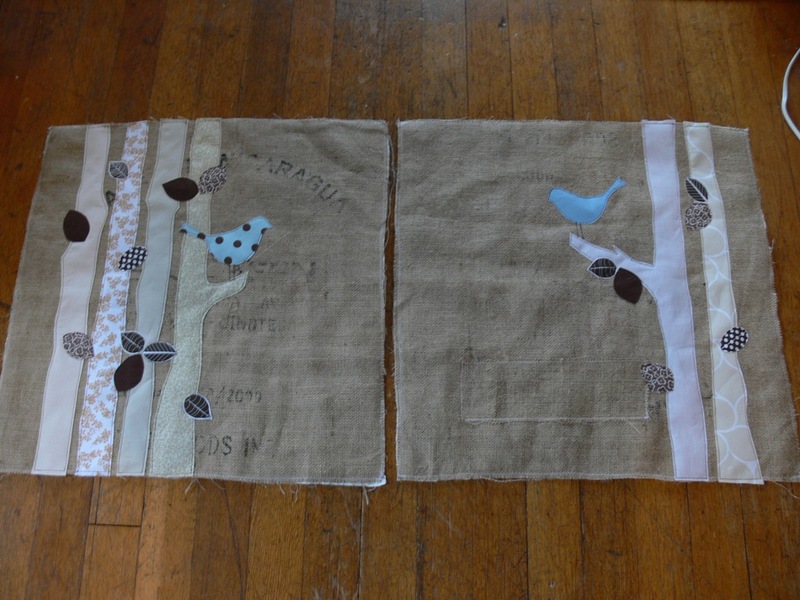 I knew what materials I wanted to use: burlap coffee sacks and fabric scraps. 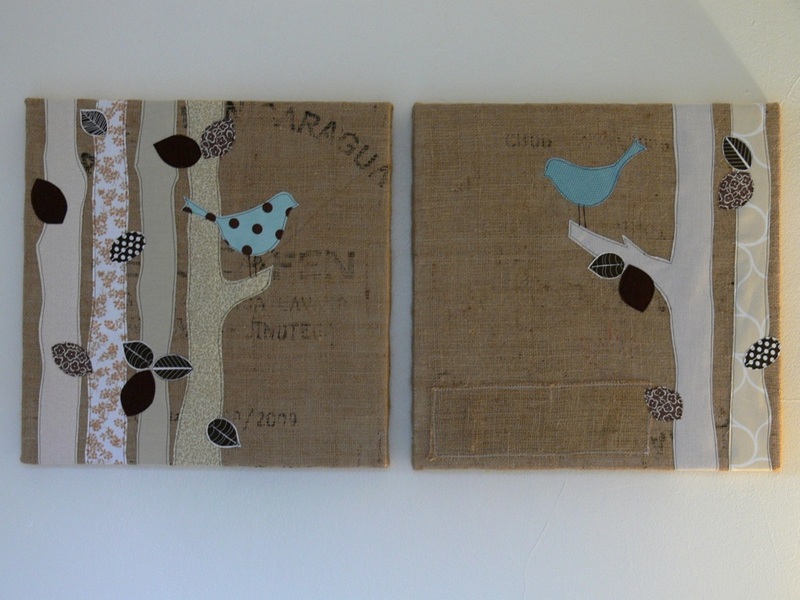 I have so much burlap left over from making the buckets by Maya*Made, and her projects and style inspire me so much. Also, we barely had time to enjoy our bedroom makeover in Tennessee before moving last year, so I drew the rough idea for my design from that mural. 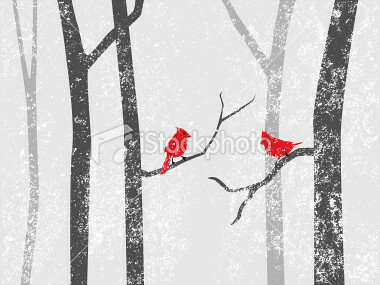 I started browsing the web for some good images and found a few on iStockPhoto. 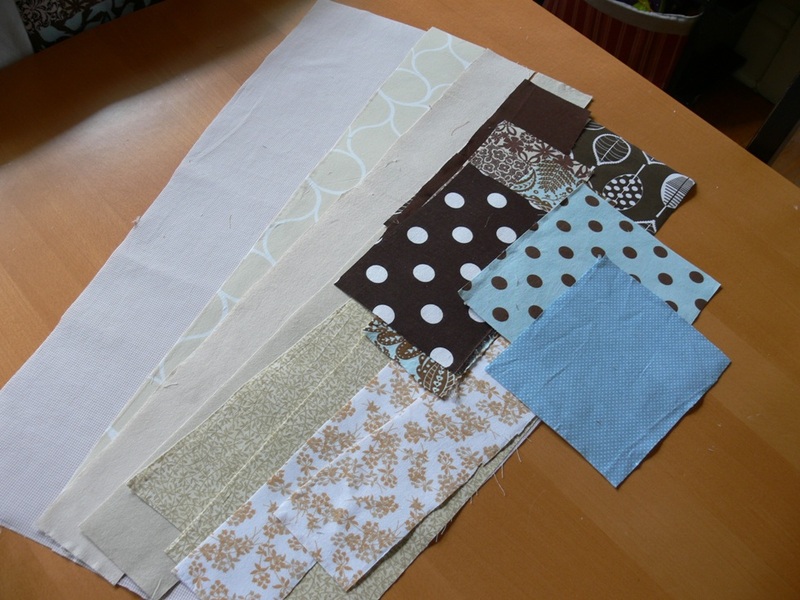 I drew up my plans, then gathered my fabrics and ironed then onto lightweight interfacing. 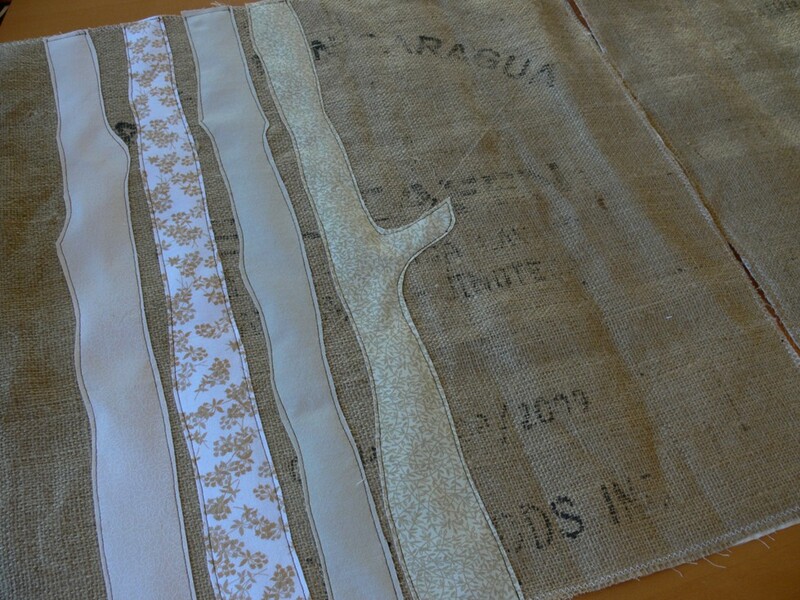 I cut my burlap to the desired size (25 x 25 inches), then pinned and sewed it onto a layer of muslin. 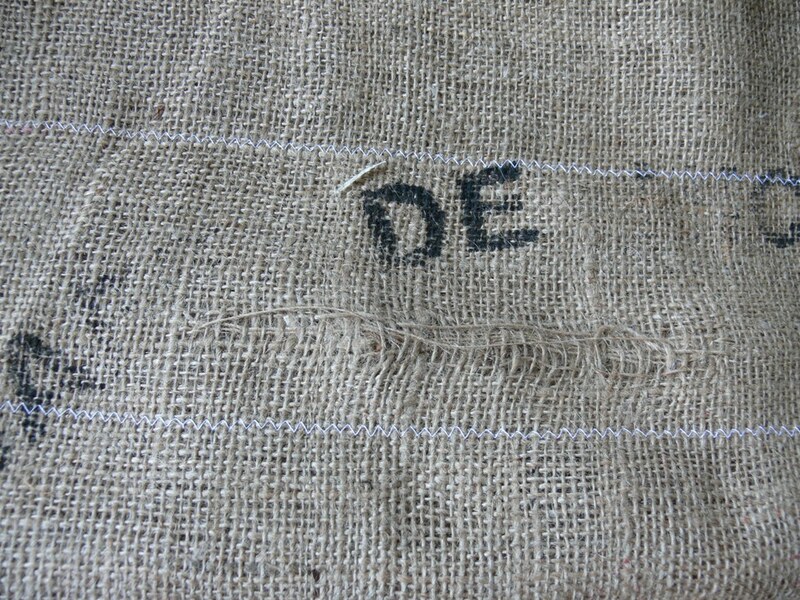 One of the pieces of coffee sack I used had a big gash, so I patched it with another small piece of burlap. 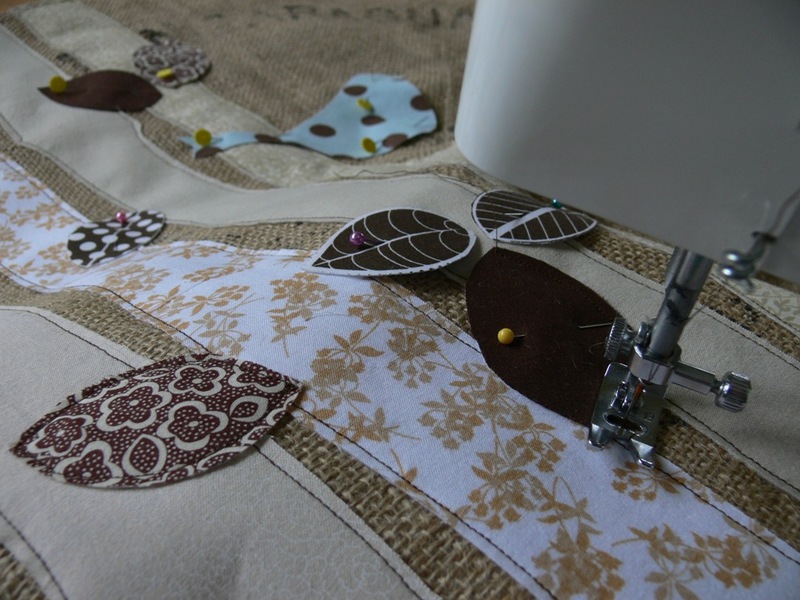 I thought the rugged patchwork look would work with my vision, I'm not so sure about that decision now. 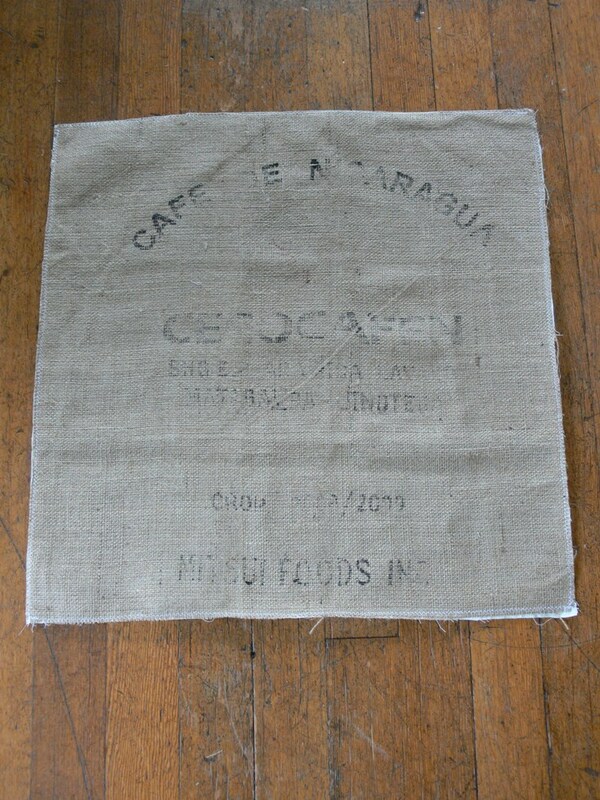 A note about the burlap: for this project, I used the back and inside parts of the coffee sack. They feature a lighter version of the prints and stamps (what leaks onto the inside of the bag) which worked better for this project than the bold prints featured on the front of the sacks. 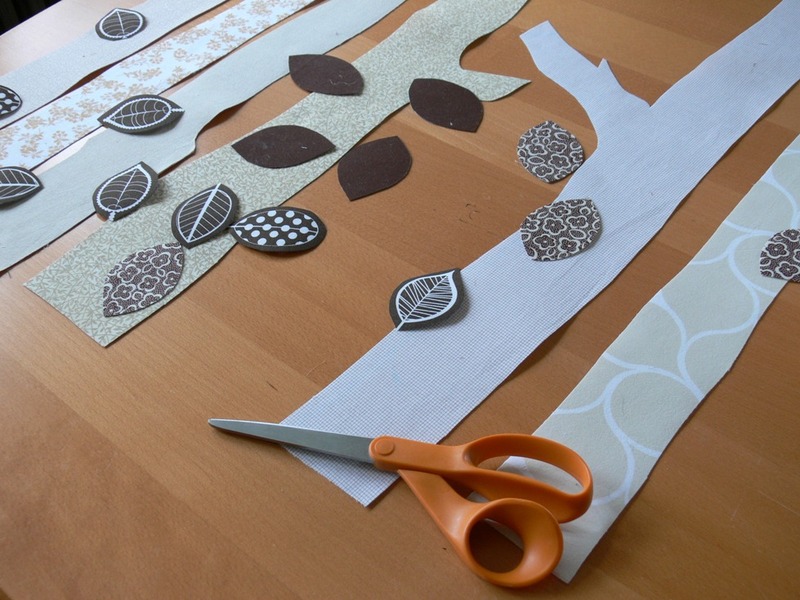 Then came the fun part: I started to cut and assemble my shapes. I had to revisit the sizing a bit, because my shapes overwhelmed the "canvas". 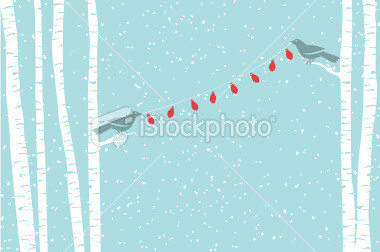 For the birdies, I went back to iStockPhoto and looked for bird shapes that pleased my eye. 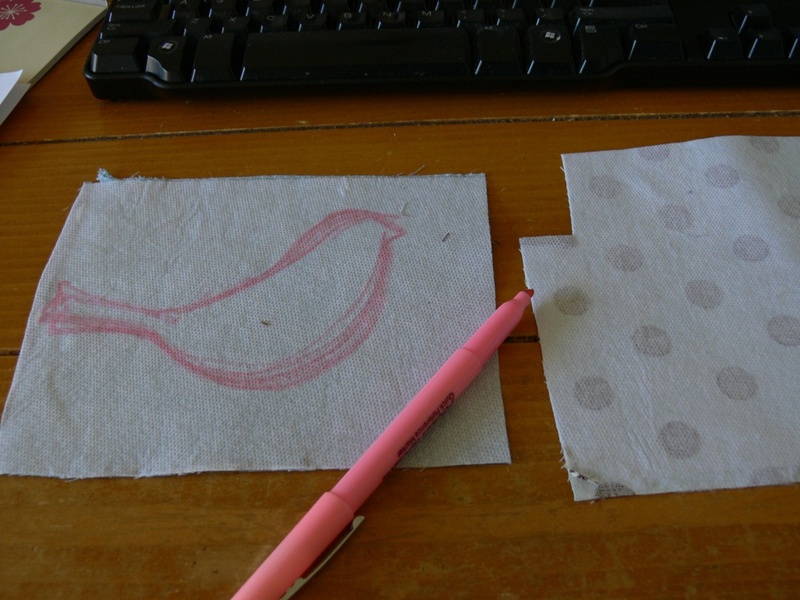 I used a combo of bird designs to draw mine (with a highlighter on the back side of the fabric, i.e. 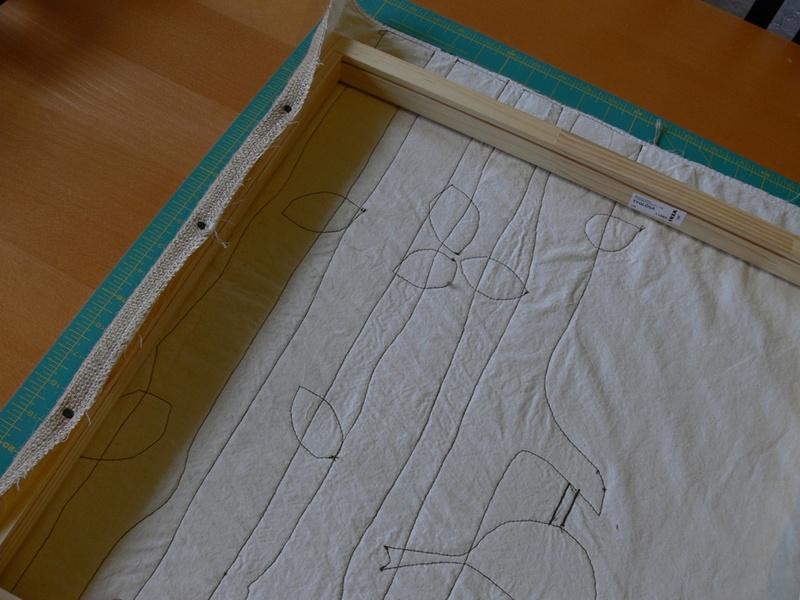 the interfacing). 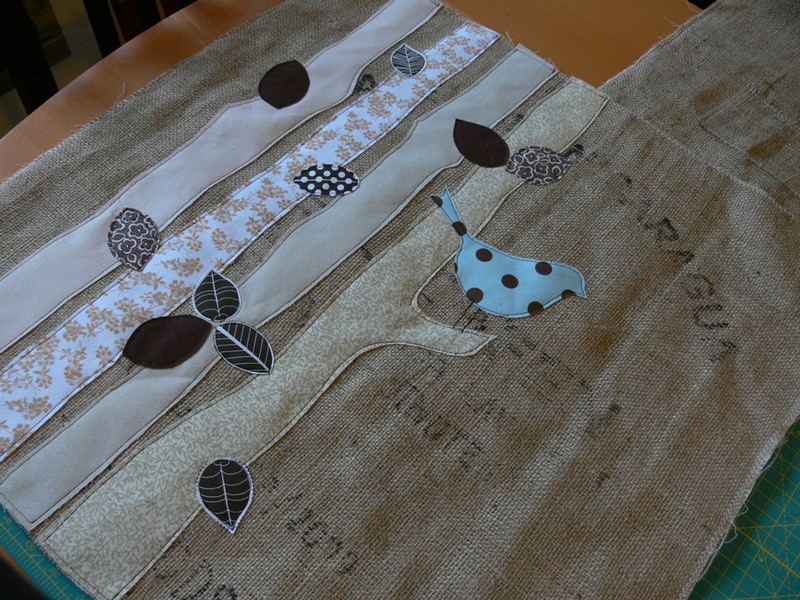 When I was happy with the placement of the items, I began sewing them in place with a contrasting dark brown thread. 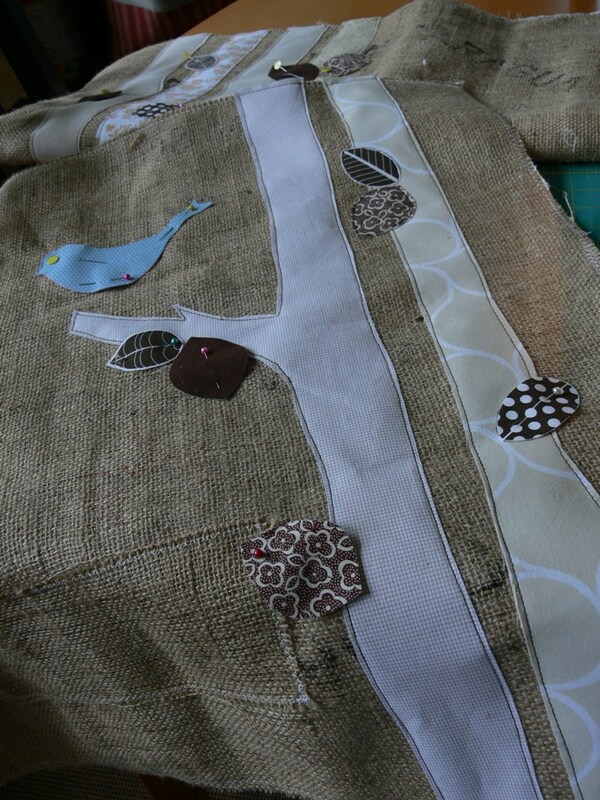 I started with the tree trunks, then pinned the leaves and birds and sewed those on too. 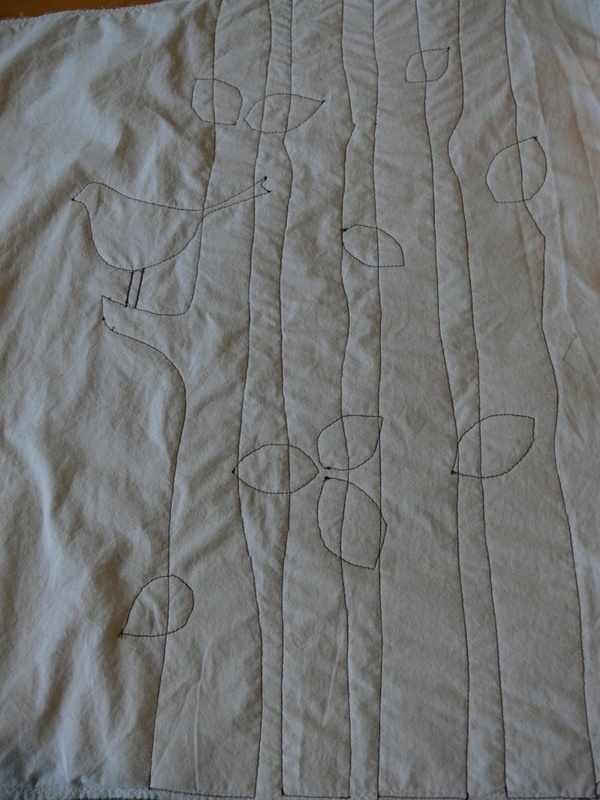 I attached all those pieces by top-stitching roughly 1/8 inch from the edge. 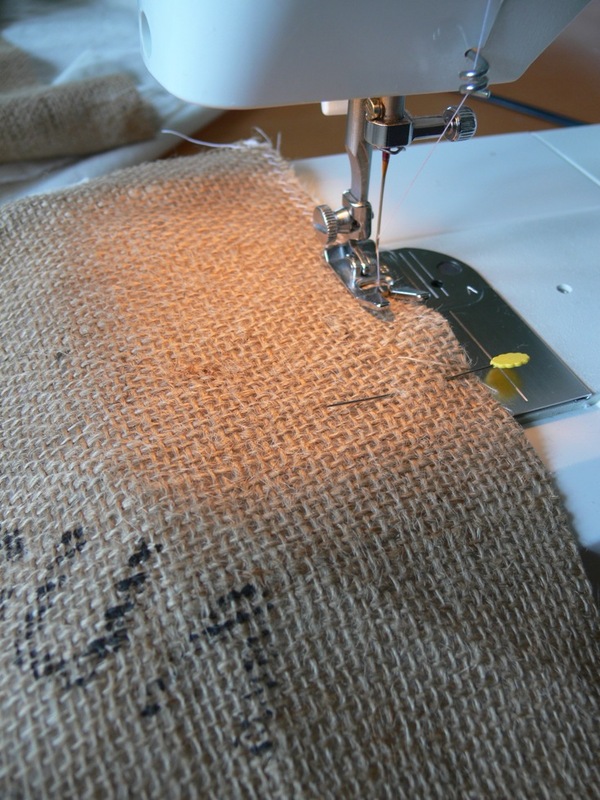 I can tell you, it was a good exercise in using my machine with precision. Whew! I love the way the back looks! 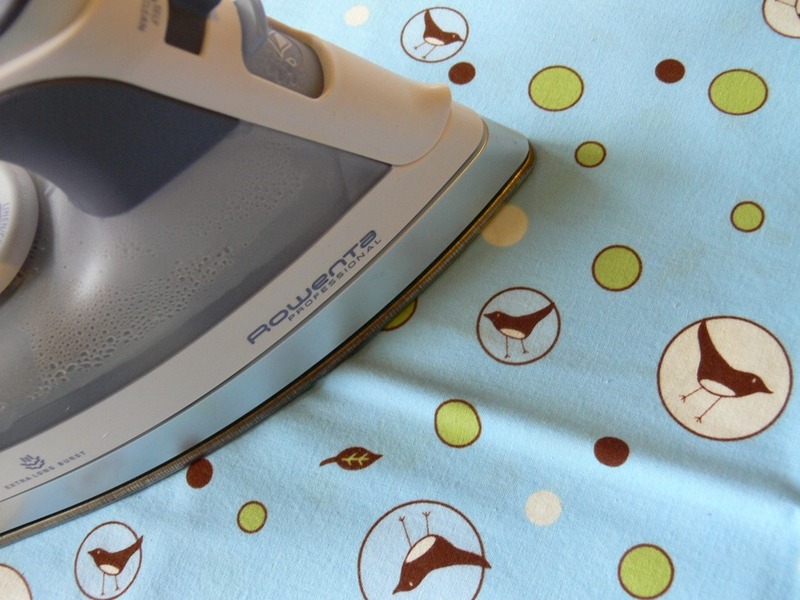 I ironed everything nice and flat with a hot, dry iron. Then, it was time to attach my art to wooden frames (that I found at Ikea!). My poor downstairs neighbors... As Ben said while I was hammering away: "Mommy, you makin' a YOT of noise!". It takes a lot of nails to stretch that art onto the frame! I am curious to see the response to this project. 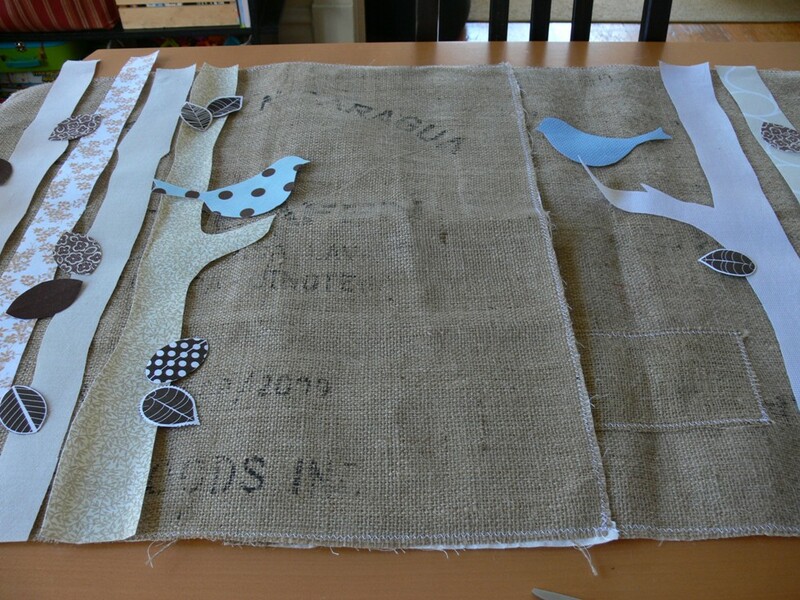 I ended up having a lot of fun with it and have about a million other ideas for similar burlap art. I wonder if it's something people would be interested in buying on Etsy... Would love to get some feedback from our readers on this one! What have you been up to this weekend? 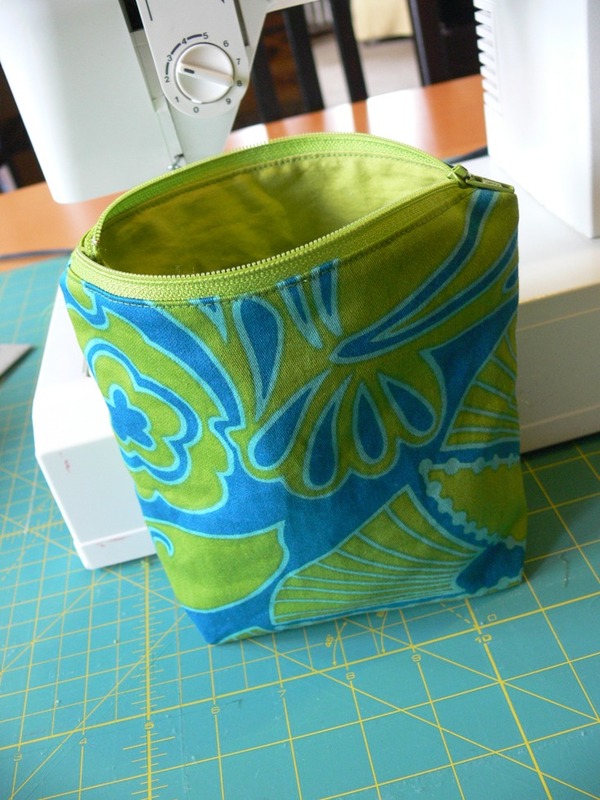 Sewing a meeeeellion sandwich bags? ;) Can't wait to see! Jenny, I absolutely love these pictures! 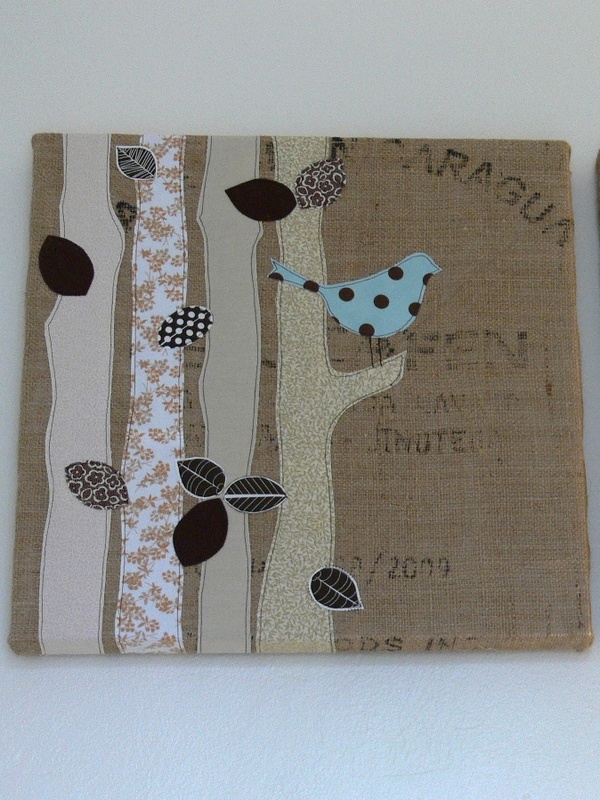 I had an idea to do something similar with paper to make something for the bathroom walls. I never quite got there, and I see I could learn a lot from the way you gathered inspiration and planned out your pieces. They look great with the pillows! This weekend was good, but there's never enough time! I am in Fall cleaning/declutter mode, which could bode well for garage salers and etsy shoppers in the near future! I have too much stuff, and I am drowning under it all!